These are currently my favorite home security cameras. The Nest Cam is the present leader in the consumer home security camera space. However, Canary is on par with features and hardware quality. I’m surprised that I didn’t compare these before. 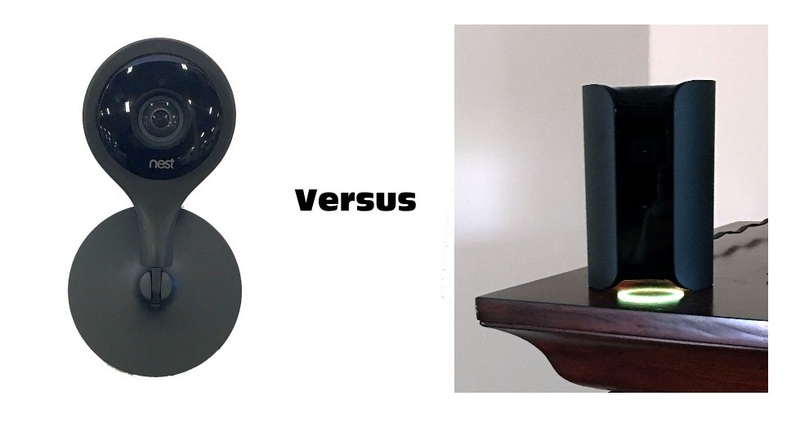 So it’s time for the Nest Cam versus Canary All-in-One Home Security System comparison. Let’s get to our head to head analysis. This category is all about the smartphone app, web app and camera firmware. Both applications work well on a smartphone and I think the Canary is easier to use. Perhaps there are less features and that has something to do with less complexity. You can access your Nest Cam from your smartphone, tablet or desktop via a web browser. The Canary Home Security System does not have web browser access for video which needs to be fixed. The Nest Cam and Canary Home Security System app each provide the expected high end features available with any good home security camera. Motion detection and alerts are provided as basic features. Both cameras provide proximity tracking (Nest calls it Home and Away). This means that you can tell the camera not to send alerts if you are home. It’s all tied into your smartphone that has the app installed. Only the Nest Cam supports motion zones to minimize false alerts from areas like trees and bushes which tend to move with the wind. However, be aware that activity or motion zones are only available if you subscribe to a cloud plan on Nest. These plans on Nest start at an extra $99 annually. You can tag alerts on the Canary Home Security System. This will eventually train the camera to understand which type of alerts you do not want to be alerted about. Connection of either camera is done through your smartphone and is a simple process. All done through their respective apps. The difference between the two is in support of dual bands by Nest Cam. 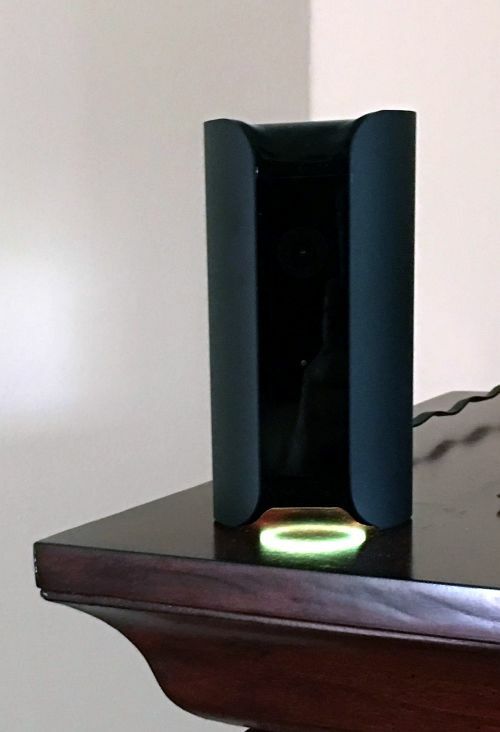 The Canary All-in-One Security System connects to your wireless router at 2.4GHz using 802.11 b/g/n. Nest Cam supports 802.11 a/b/g/n at dual bands of 2.4 and 5 GHz. The 5GHz band is going to work best for HD video when close to the router. It will not help if far from the router. I define far as 75 feet with a few walls between you and the router. But it makes a big difference when you can use it. This is where the Canary provides something that Nest does not. The Canary provides 12 hours worth of motion video from the cloud at no additional charge. Nest charges $99 for their starter plan. I have been somewhat critical of having to pay Nest an additional $99 annually for their cloud storage. They partially remedied this with their recent announcement of Sightline. However, it’s not enough in my opinion. The Canary is a much larger device than a Nest Cam. Neither case is waterproof nor are they made to operate outdoors. You get a great picture with the Canary. The 1080p HD video is very clear, as expected. The 147 degree wide angle lens helps to capture close to the entire room if placed in a corner or against a wall. The camera might have the best night vision of any camera I have used. The image is extraordinarily clear even when it’s pitch dark. The camera supports 3x digital zoom on live video. Speaking of live video. Be aware there is a roughly five second delay on the Canary. I suppose it’s because the video is being viewed from the cloud. The Nest Cam has a 130 degree wide angle lens. The 8x zoom works well with the software enabled image focusing function. 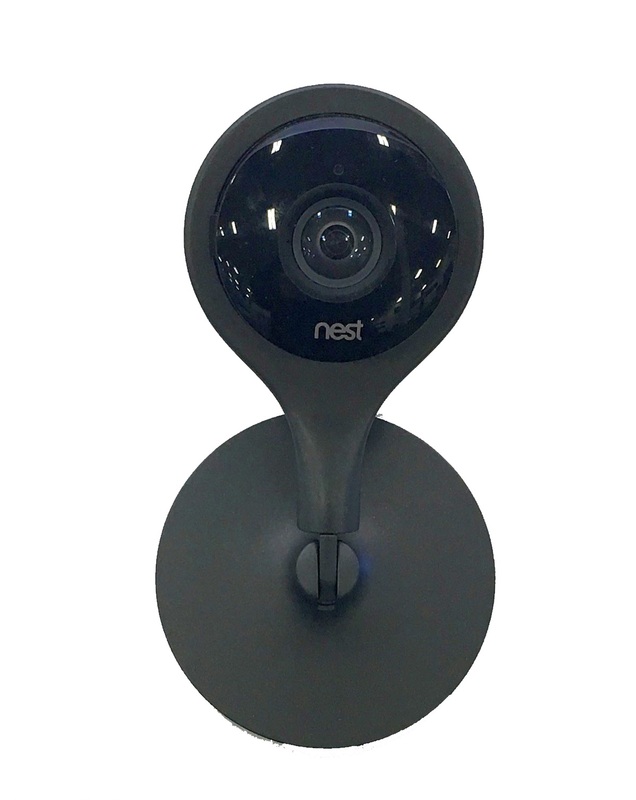 The Nest Cam supports 1080p viewing. The Canary hardware has some features not found in other home security cameras. Especially in the way of environmental controls measuring room temperature, humidity and air quality. You can establish alerts based upon selected ranges for temperature and humidity. I want to be alerted when the temperature exceeds 78 because that means my air conditioner isn’t working right. Nest Cam does not have these features. Nest Cam will support two-way talk. The Canary Home Security Camera only supports listening to the action and cannot be used as a two-way communicator. Calling a winner in this category is difficult. The temperature and air quality feature are unique on the Canary. However, the camera quality and full duplex on the sound gives Nest the nod. The primary placement intention for these cameras is a tabletop or shelf. The Canary is a larger and heavier device. It sits on a flat surface. Period. The Nest Cam has a plastic stand that swivels. The stand can be mounted to a wall or ceiling as well as a tabletop stand. There is a magnet embedded in the bottom of the stand to allow mounting on a metal surface. There are a variety of third party mounts available as well. There are clearly more places to put a Nest Cam. The Canary All-in-One Home Security System is counted by some major home insurers as a security device and you can qualify for an insurance discount. State Farm is one of those insurance companies. Since I don’t have my home insurance with State Farm, I cannot speak to the discount amount. On the Nest Cam, you have the ability to integrate other Nest products into the application. When you logon either through the application or mobile app via browser, the outdoor temperature and weather outlook are displayed. When you start the app, you will see small round live images of all the cameras you have identified to the application. It’s a smoother, more refined application. Looking at the category winners, the Nest Cam takes the win. So who needs a Canary All-in-One Home Security System? Someone who needs an easy to use home security camera with some nice side features like air temperature. For overall home security camera use, the Nest Cam is the better camera. Nice hardware, more flexibility, better integration with services like IFTTT and hardware components such as Nest Thermostat.